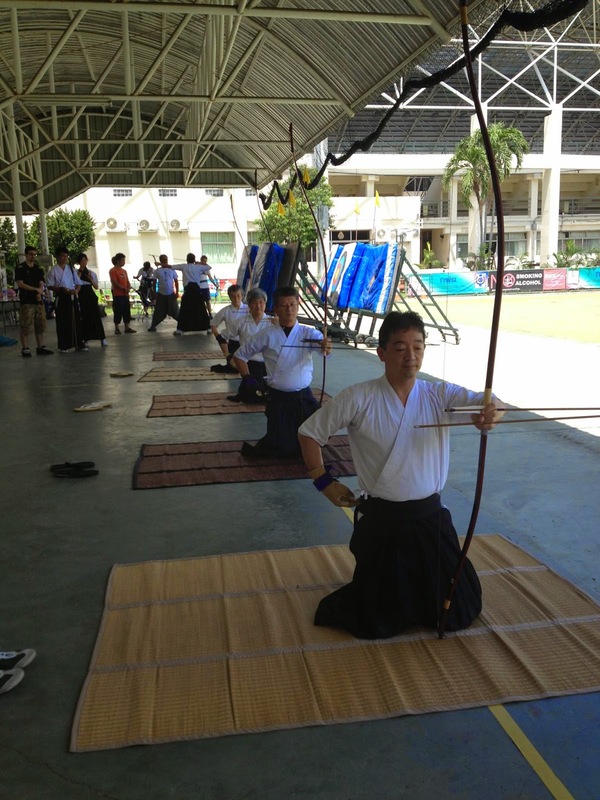 Siam Kyudo Kai: A Good Day! Last Sunday was a perfect day for practice. It was a sunny clear sky without the usual rain of this season. We came in the morning and quietly started to set up 5 backstops and mato to accommodate our practice while more and more member arrived. 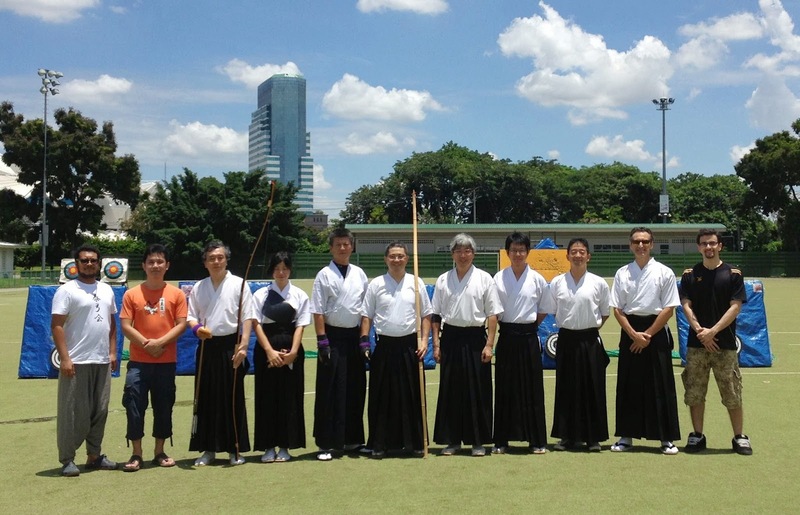 From left to right, Marlut, Bird, Ogura-san, Tin, Kondo-san, Katsushika-san, Miyake-san, Korsakul, Noda-san, Paolo, Yah. Ogura-san and Kondo-san have come to join our practice session. 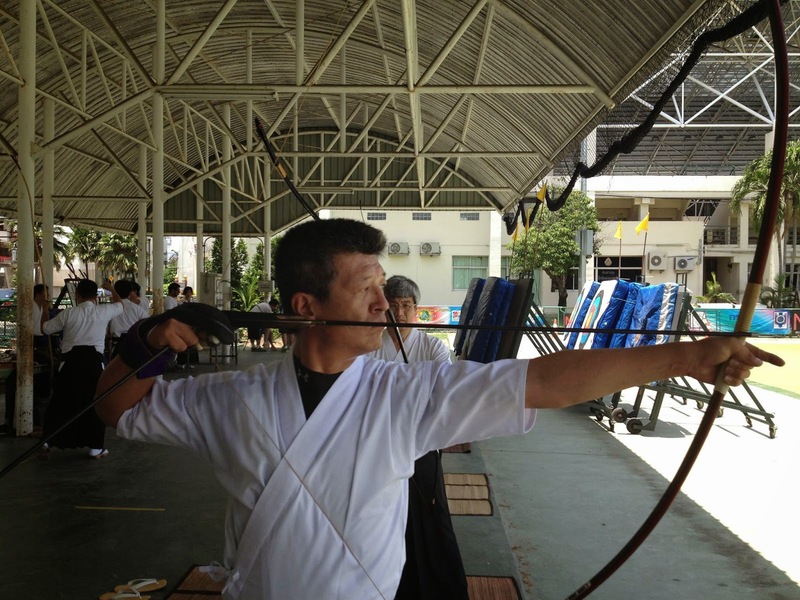 It make us very happy to have more senior kyudo practitioner in Siam Kyudo Kai. A total of 11 persons have come and practice today. The practice become more intense. 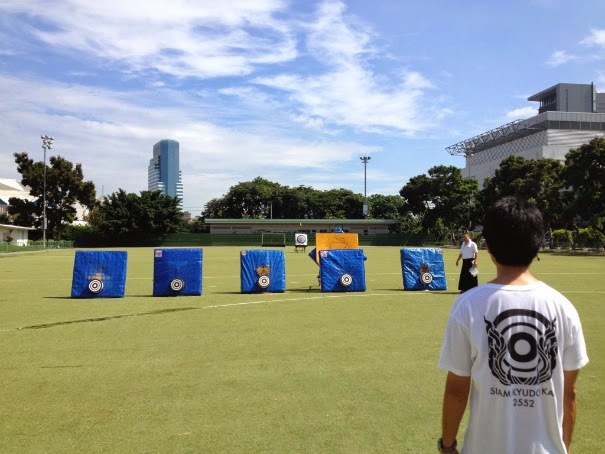 Miyake-san, Ogura-san, Kondo-san and Noda-san have demonstrated the competition shooting sequence for us. Even if it's the first time they shoot together, their rhythm are in harmony and beautiful to watch. 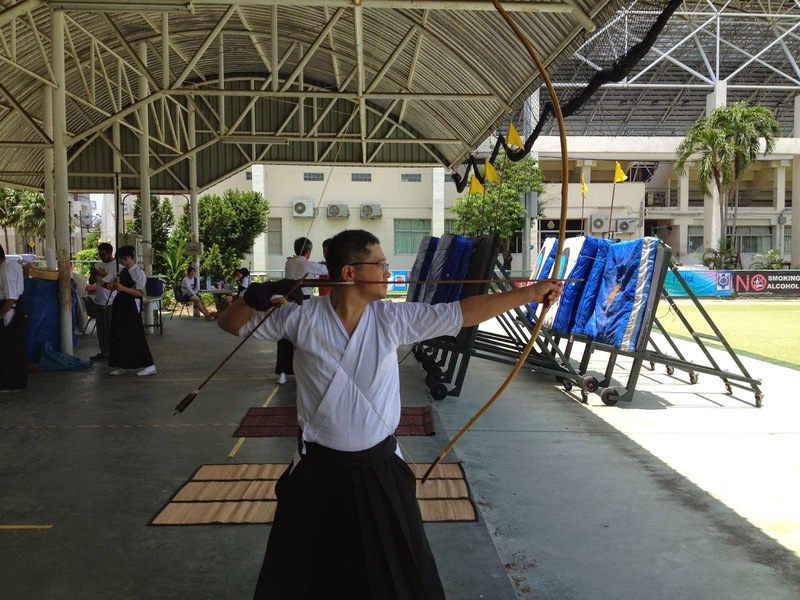 By watching the performance, we are absorbed in Kyudo knowledge and learn more. Between shooting sessions all the senior kyudoka where kind on teaching and correcting the kyudo form of all the rest of us with great benefit to our learning class.